Lupus is an invisible disease, it is not always seen but it’s always felt. 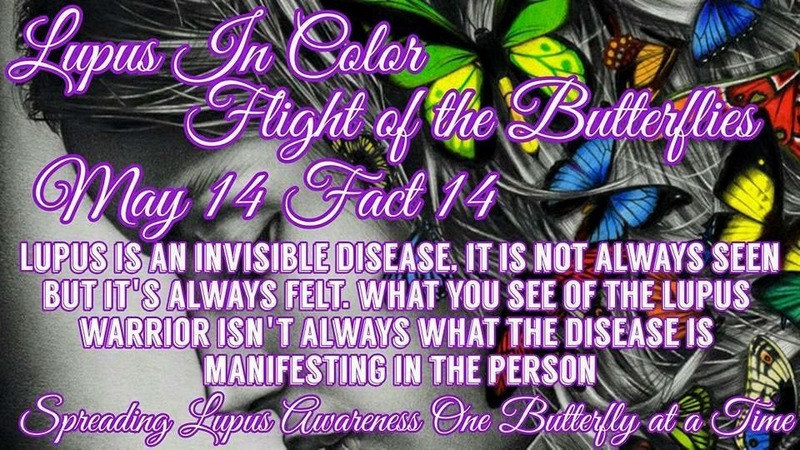 What you see of the lupus warrior isn’t always what the disease is manifesting in the person. This is your fourteenth butterfly of hope.